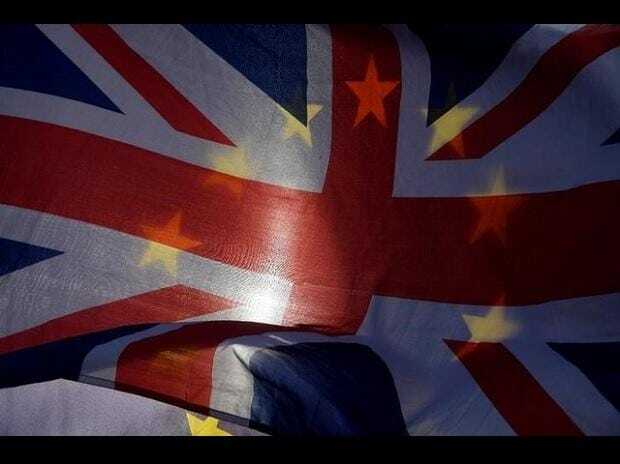 Britain would remain in a temporary customs union with the EU, avoiding a hard Irish border, as part of a new deal being thrashed out between London and Brussels, according to a Sunday Times report. Senior sources told the newspaper that Prime Minister Theresa May has secured concessions from Brussels, with the EU agreeing to write an "all-UK" customs union into the divorce deal. This would avoid the EU's "backstop" solution that would have treated Northern Ireland differently from the rest of Britain. There will be an "exit clause" from the customs union in a bid to convince Brexiteers that it is not a permanent arrangement as May looks to secure enough votes to get the deal through parliament, it added. Downing Street refused to confirm the report, telling AFP it was "all speculation", but that negotiations were "going well". The Irish border has proved the biggest obstacle to a deal, with both sides vowing not to reinstate a hard border between Ireland and Northern Ireland for fear of destabilising the peace accord that ended decades of deadly sectarian violence. Under the reported deal, the EU accepts that regulatory checks on goods can be carried out in factories and shops rather than at the border, the Sunday Times said. That keeps open the possibility of Britain securing a future free trade agreement similar to the one signed between Canada and the EU in 2016. The opposition Labour party has all but ruled out supporting any deal May reaches with Brussels, leaving the prime minister reliant on her slender parliamentary majority that comprises her own divided MPs and coalition partners the Democratic Unionist Party of Northern Ireland. She is expected to warn her most stridently anti-EU MPs that they will be held responsible for the consequences of a no-deal Brexit if they do not vote for her deal. However, if these Brexiteers are not convinced that the customs union is only a temporary measure they would almost certainly rebel. Her cabinet is due to hold talks over the plan on Monday, with a potential EU summit pencilled in for the end of November if they agree enough progress has been made. Separately, more than 70 business leaders penned a letter to the Sunday Times calling for a second Brexit referendum.